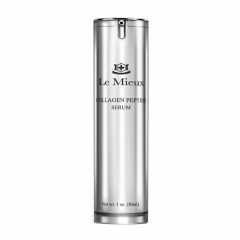 Concentrated, creamy serum is a potent blend of 4 skin-contouring peptides, water-loving hyaluronic acid, nourishing ceramides, and marine algae extract. Helps improve the appearance of sagging facial contours, while sealing in lasting moisture. Features double-encapsulated, timed-release technology.